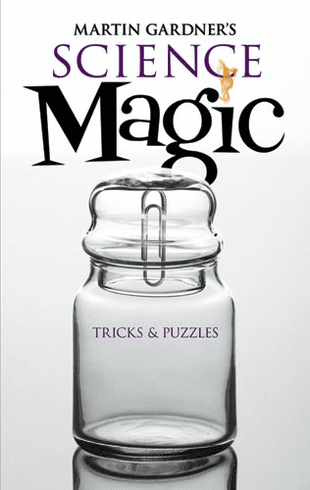 The Master of Mathematical Puzzles collects 89 of his finest magic tricks that will teach both children and adults the scientific principles behind electricity, magnetism, sound, gravity, water, and more. Fun and fascinating, the simple demonstrations involve levitating matches, somersaulting eggshells, spinning pennies, and balancing silverware. Only basic everyday items are needed. Includes 89 black-and-white illustrations. Reprint of the Sterling Publishing Company, Inc., 1997 edition. 96 pages. Dimensions: 5-3/8 x 8-1/2.